Building a new home? Speak with us before you make any decisions! 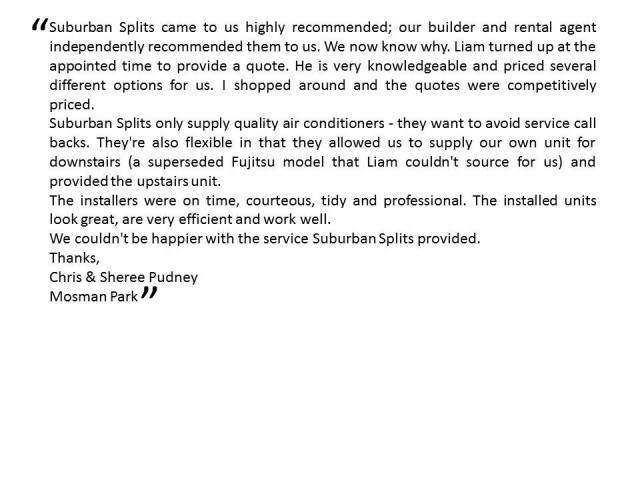 Suburban Splits Air Conditioning is proudly a WA owned and operated family run business. Relax and be confident as we professionally take care of the whole process from supply to installation and be comfortable knowing we back all our installations with a full 5 year workmanship warranty. 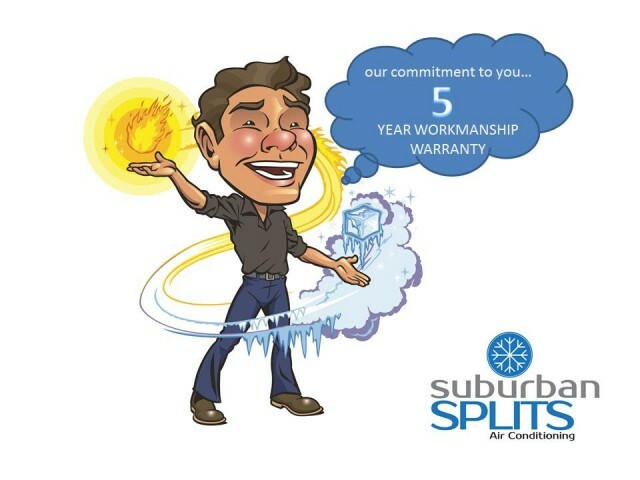 With a strong background in customer service and quality workmanship, Suburban Splits Air Conditioning has become a highly regarded business in Western Australia. We take great pride in every installation we undertake and are always available to answer any of your queries. We look forward to working with you. 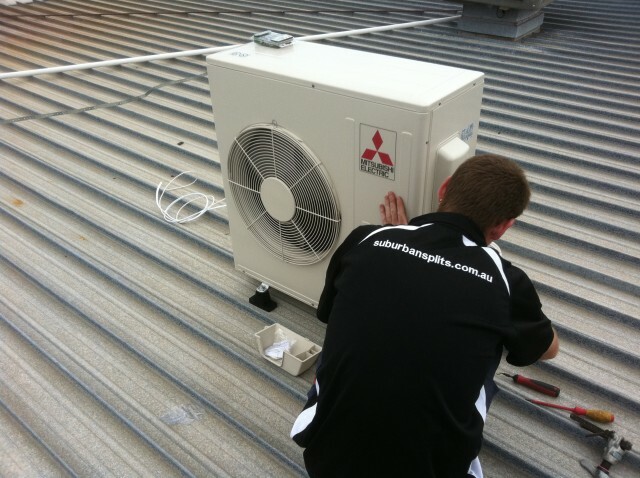 TAILORED, ON BUDGET, ON TIME & ON SPEC AIR CONDITIONING SOLUTIONS. © Copyright Suburban Splits Air Conditioning 2019 . All rights reserved.